Do you love reading mysteries? Do you want to meet and discuss books with other mystery lovers? Join our newest book discussion group An Hour To Kill. 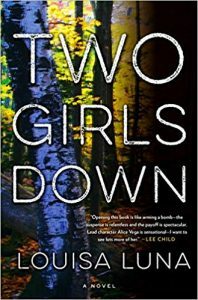 This month’s book is Two Girls Down by Louisa Luna . Copies are available at the Adult Services desk.